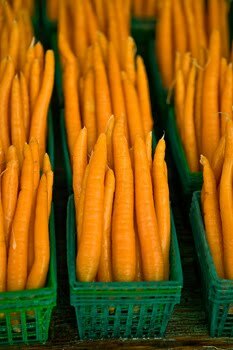 Zestos: Enabling life through communication of research: Addicted to carrots - Seriously !!!! Compusive carrot eating, regarded as a rare condition, has received scant documentation, unlike hypercarotenemia due to unusual diets or food fads. Nervousness, craving, insomnia, waterbrash and irritability are associated with withdrawal from excessive carrot eating. The basis for the addiction is believed to be beta carotene, found in carrots. Does carrot eating, an aggressively oral activity, merely act as a behavioural substitute for smoking? Or does beta carotene contain a chemical element that replicates the addictive component of nicotine? So there you have it folks - another addiction to watch out for! Reference: Kaplan R.Carrot addiction.Aust N Z J Psychiatry. 1996 Oct;30(5):698-700.